Time management is a skill, but like every skill, it takes practice. And for most of us, it will never quite be mastered, particularly when you work at home amid the chaos of family life. When you’ve finally got one big time waster in check, something else inevitably pops up. But don’t get discouraged. These tips for time management, which are for both telecommuters and home business owners, can help you pinpoint your time management problems before they get out of hand. 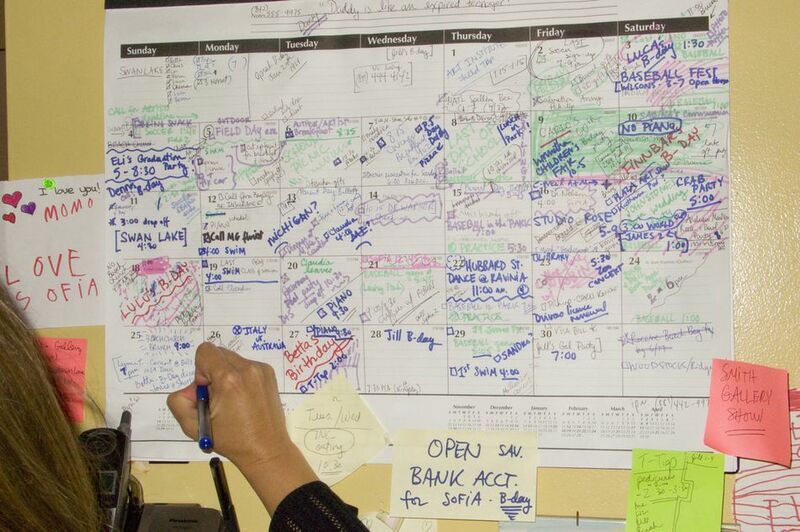 Time management starts with scheduling. If possible, set your work hours in advance so both you and your family know when you'll be working. For telecommuters, this might be fairly easy, but for home business owners it may take some discipline to work when you say you will. If you are working at home with children, an age-old time management technique is to set your work hours around nap time; however, there are things to keep in mind about nap time, namely that nap schedules change—sometimes day-to-day but always over time. As kids grow out of naps it might make sense to work after bedtime instead. Some will say that multitasking is bad or that there is no such thing as multitasking. Who knows? But it is just a fact of life that time management when you work at home involves some multitasking. It's essential to understand that multitasking is a double-edged sword: It can streamline your day or leave you with a half dozen half-done projects in a day. Part of time management is managing multitasking efficiently. Knowing how to multitask and when to multitask is the key to achieving better harmony in your work and home life. And one important factor in how much a work-at-home parent must multitask is how much child care she employs. If you are trying to balance a work-at-home career in a busy household with children, routine is your friend. For kids of all ages, routines smooth transitions, which can be tough for kids. Getting an effective school morning routine is an important step in starting everyone’s day right. But routines help at other parts of the day too, i.e. naptime, bedtime, dinner, after school, homework, etc. But routine is not just for kids, it can be an important part of staying on task for the home-based worker. Choosing to always check email, make phone calls or do other tasks at specific times ensures that these jobs get done. However, both kids and adults can get too attached to routines. Be flexible. Routines change as kids grow. Naps go away; kids become more proficient at chores; child care schedules change. Be prepared to change your routines when necessary. No time management tip works for everyone because we all have different styles and weaknesses when it comes to organizing our time. Some of us may have to learn to stop procrastinating while others need to carve out a distraction free workspace in order to get anything done. For others a good to-do list is a necessity. And so assessing whether yours is a good work-at-home personality is a first step in identifying and correcting your weaknesses. Develop a set of work-at-home ground rules that factor in your personality and family's needs. There are so many tools that can keep the telecommuter connected now. Tools such as the internet, computers, email and the phone are what make working from home possible for most of us. But these tools can actually hinder our time management efforts if not used effectively. Email management is perhaps one of the most important skills we can acquire because email can become a full-time job in itself if we let it. Tracking our time can lead to more efficiency by revealing our biggest time wasters. It can also help us determine which tools—which could range from free online applications to new apps for your phone—can help us run our work and home lives more efficiently.